Finance basics for first-time business owners. Cost of goods sold, gross profit margin, overhead expenses and Goldilocks pricing plan. Engineers (including myself) like to believe that the product is so good that it will sell itself. You just have to launch your product and the customers will miraculously come knocking on your door, putting their money through the keyhole. Not really. It takes hard work to make the sale. Also, it takes hard work to make sales look easy. It takes hard work to make sales look easy. 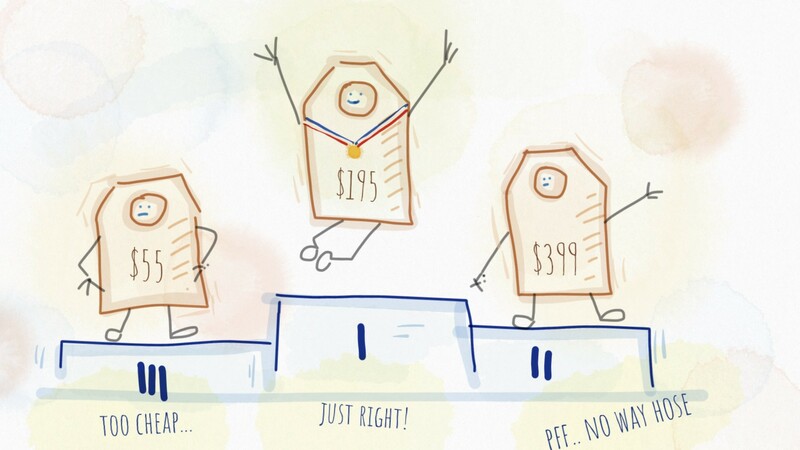 The first step for making a sale is to set the right price tag for your product or service. Developers, engineers, designers and artists in general are pretty good at their thing but pretty bad at determining the price and submitting an invoice or a quote. In most cases, we set the price based on our hunch and hope for the best. 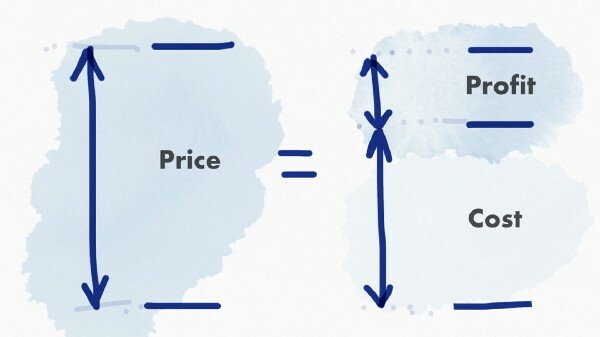 This article is intended to help us (non-financial people) understand the basics of the pricing science. Understanding this financial terms will help us set the right price, create a positive cash flow and hopefully make some profit. Nobody runs a business just to break-even so putting some extra cash in your pockets will do you no harm. 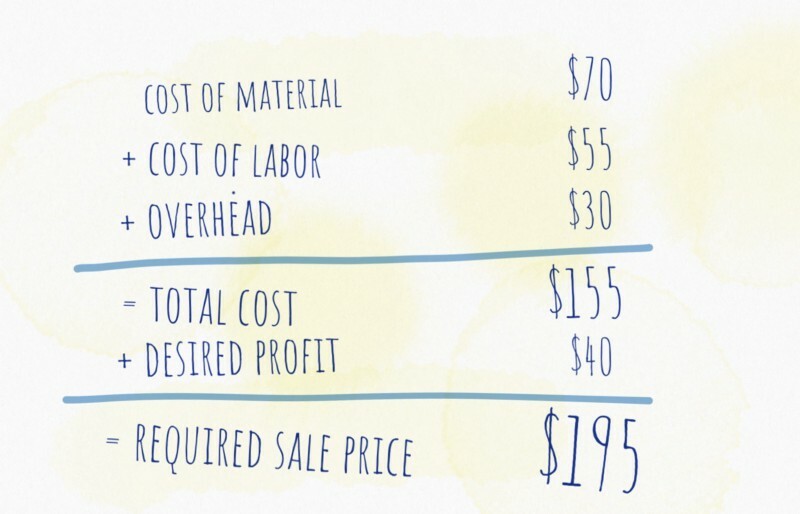 The basic rule of pricing is straightforward — the price has to cover costs and profits. If your price doesn’t cover the costs, you will generate a cumulative negative cash flow. This will ultimately burn-down all your resources (money) and it will put a lock on your business. Besides covering the costs, you have to add intended profits to your overall price if you want to make a buck or two. Cost and profit combined set the price for your product or service. This simple relation means that reducing the cost will yield more profits and increasing the cost will leave you empty-handed. Yes, everything I said so far seems obvious. But what is not obvious (at least for me) is how to determine the cost of making the product. This category refers to the cost of purchasing a product for resale or the cost of manufacturing a product (either physical or digital). If you have a physical product (e.g. smart watch) you have a cost of the hardware which you pay to your supplier, cost of shipping from the supplier, cost of wrist straps, cost of software development etc. If you have a digital product, you have to account the salaries for your developers/designers (cost of labor). We’re familiar with this cost category and most of the time we’re fairly accurate with this one. But the overhead expenses are the ones that often gets forgotten in the process of price determination. These expenses are not directly related to the manufacturing process (non-labor expenses). They can be fixed or variable. These costs must be met every month, no matter what the sales volume is. They include office space rent, payroll and accounting costs, subscriptions and software licences, insurance, cooling and heating, etc. Cars run on fuel, employees run on coffee, so don’t forget to include the cost of complementary high-octane arabica coffee grains. These expenses are due every month, regardless if the revenue of the company goes up or down. These expenses can fluctuate from month to month, depending on the sales or promotional activities. The volume of the business can vary depending on the season, demand, suppliers shortage etc. These expenses can include phone bill, advertising cost, shipping, packaging, travel expenses, on-site activities, customer onboarding etc. Since it’s not recommended that the price of the product varies frequently, variable expenses should be taken into account as an average yearly figure. As I previously said, a detailed cost analysis will lead to more accurate pricing strategy and more importantly more accurate profit estimation and cash flow projections. Also, cost awareness will indicate cost reduction opportunities, yielding a larger gross-profit margin. 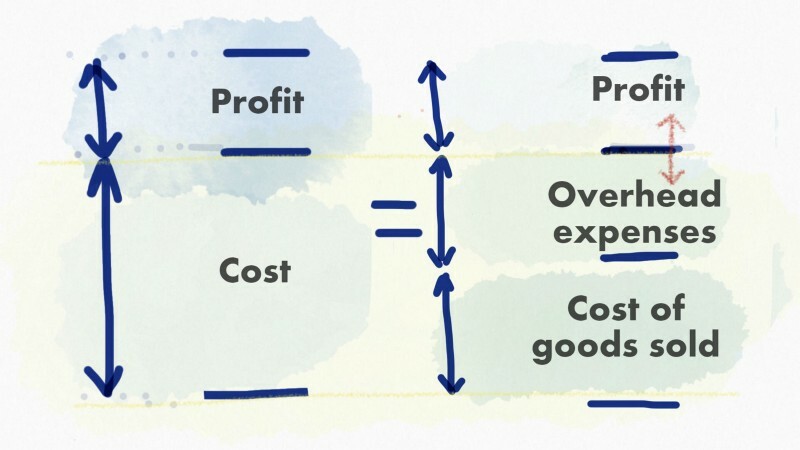 If the price is fixed, costs and profits are in a negative inverse correlation — the higher the cost the lower the profit and vice versa. Understanding the cost of goods sold and overhead cost is very important. These numbers will give a total cost of your product. Adding the profit to the total cost will give you the required sale price which will ensure a positive cash flow. A good accounting adviser could extract the costs by exporting financial statements of Cash Flows, Profit & Loss and Balance Sheet to give a more detailed overview of money movement in and out of your company. Depending on the volume of the sales, your business will establish a revenue stream. Revenue is often referred to as sales or turnover. Revenue numbers can confuse and set the wrong expectations. The pipeline from revenue to profits has many many leaks along the way and this is why it is important to be aware that they exist. 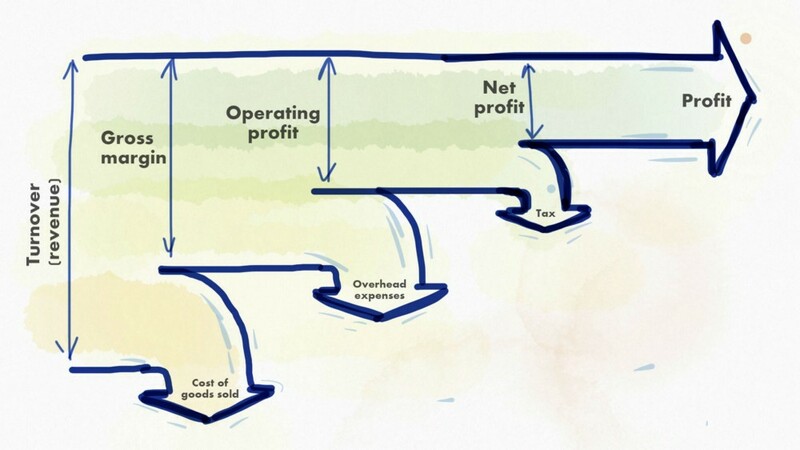 To avoid a profit drought, you have to minimize and address all those leaks in the pipeline. After considering all your expenses, estimated sales volume and the prices of your competitors, the price of your product seems obvious to you. To make the price obvious and acceptable to your customers you can use the goldilocks pricing plan. Let’s assume the customer stumbled upon your product and noticed the price. How can he/she determine if the price is right? Most likely, he/she will look for similar products online and compare the price. Buying decision is often made in favor of the product which provides the biggest bang for the buck. And what if you provide three prices for your product instead of just one? You could significantly increase customer retention. The first price should be lower than usual. Naturally, the product which the customer gets for this price is lower quality and has fewer features. The second price should be the one that you want your customers to choose. This is the price of your flagship product, the one that you intend to sell the most. The third price should be premium. The most expensive product from your palette, high quality, low volume, handmade, personalized version. I’ve named this pricing plan like this because, like the third of the three bowls of porridge in the fairy tale Goldilocks, it is neither too hot nor too cold, but just right!